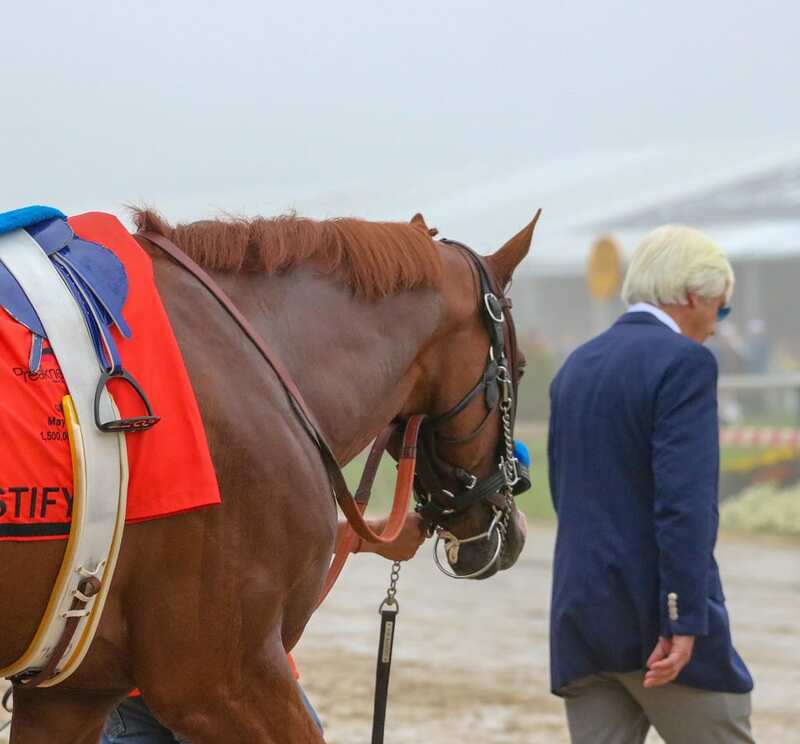 Justify and Bob Baffert. Photo by Dottie Miller. Justify’s trip to Baltimore, like his New York sojourn — and like the races he ran in those cities — was quick, a surgical strike. Fly in midweek, take a spin or two around the track, and then, come Saturday, get the money and the next jewel in the Triple Crown. By the end of this past Saturday, there were no more jewels to get; he’d won them all. 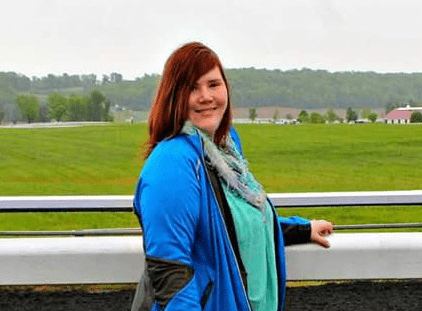 Still, it’s Thoroughbred racing, so there must be controversy and, more to the point, there must be self-inflicted wounds. And so a controversy erupted over the mysterious tactics adopted by jockey Florent Geroux, aboard longshot Restoring Hope. After a somewhat sluggish break, Geroux gunned his horse from in between all the way up to second while remaining in mid-track; that prevented another longshot, Noble Indy, from getting over to press Justify, who grabbed the lead from his rail post. And that meant that, after a solid opening quarter-mile of 23.37 seconds, Justify was able to slow the race down through very moderate internal fractions; when the real running began, he still had plenty in the tank to hold his rivals safe. So what’s the controversy? 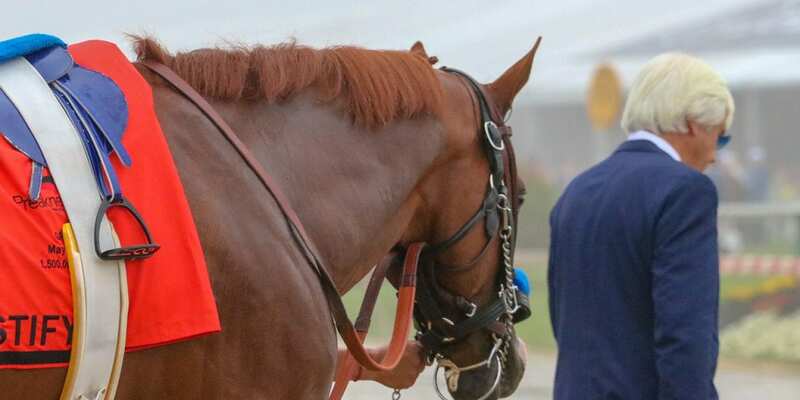 Restoring Hope — whose owner, Gary West, admitted afterwards his horse “didn’t belong in the race” — is trained by Bob Baffert, as, of course, is Justify. Was Restoring Hope used to provide blocking for Justify, helping clear his path to the win? Some, including Mike Repole, who owns both Noble Indy and Vino Rosso and had hoped the former would press Justify to set up the latter’s late kick, believe so. No one in a position to know the answer to that offered comment to the New York Post on that question. But either way, it provided a tidy little bow of controversy with which to wrap the gift of Justify’s remarkable ascension, in less than four months, from unraced sophomore to Triple Crown winner. And so, just as a 25-year Triple Crown drought gave way to the three winners in five calendar years in the 1970s, now 37 Crownless years have yielded to two winners in four seasons, a mountain that some deemed unclimbable in the modern age now summited twice. Here’s a last look back at Justify’s visit to Charm City, which now seems, in Justify Time, at any rate, like a long time ago.